Solicitors for the former Rehab boss had accused the Public Accounts Committee of being biased against her. THE HEAD OF the Dáil’s spending watchdog has strenuously denied allegations that the committee is ‘biased’ against former Rehab boss Angela Kerins. In a letter sent to the Public Accounts Committee, Kerins’ solicitors alleged that the committee has been “compromised in its ability to continue to deal with this inquiry”. It puts this down to an “apparent bias”, and also “inappropriate behaviour of individual members of the Committee”. 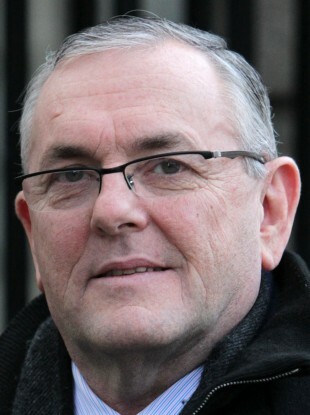 Chairman John McGuinness said that PAC have “absolutely nothing against her”. “We’re simply looking at how the taxpayer’s money was spent”, he told TheJournal.ie, “and we want to get the answer”. We were told by the board that Angela Kerins and [former Rehab CEO] Frank Flannery would have the answers, and we’re simply continuing our general investigation. He added that the committee is “not interested in anything personal”. PAC are attempting to compel Kerins and Flannery to appear before the committee. A decision on a compellability request is not expected until later this summer, with the granting of this order being an internal process overseen by another Oireachtas committee. Kerins’ solicitors questioned the committee’s decision to seek this order. “The only reasonable inference to be drawn from this”, they wrote, “is that the Committee’s fully aware of its lack of jurisdiction but the proposes to press ahead regardless of the fact that it does so unlawfully”. Email “'This isn't anything personal': PAC denies accusation of bias against Angela Kerins”. Feedback on “'This isn't anything personal': PAC denies accusation of bias against Angela Kerins”.